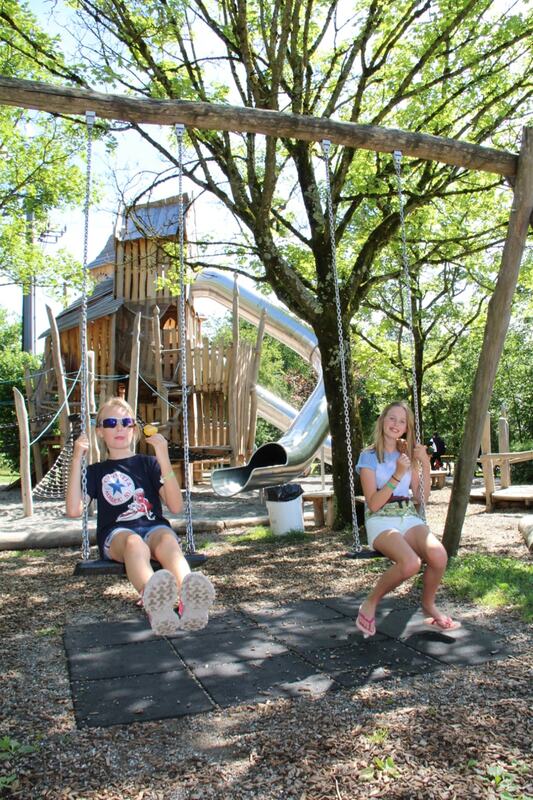 Wirthshof is a popular and accessible campsite is packed full of playgrounds. 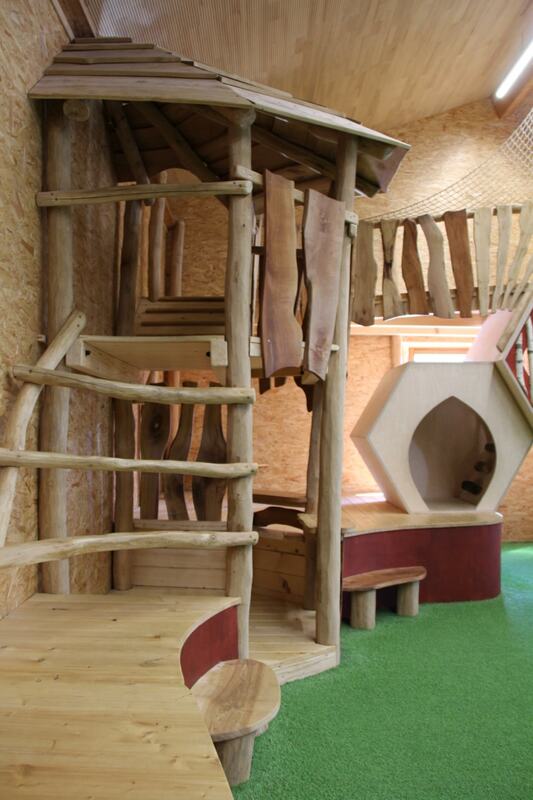 Once you’ve spied the spacious grassy ‘time out’ areas, the lake or adventure playground… you might have missed the outdoor swimming pool or indoor play areas…. There’s enough to keep everyone entertained and our girls loved the variety on offer… so much so, we didn’t see them much in the first two hours!!! With modern day life offering countless options to spend time in front of a ‘silver screen’ instead of enjoying the great outdoors, it’s great to find a campsite that simply shouts ‘Get Active’!! 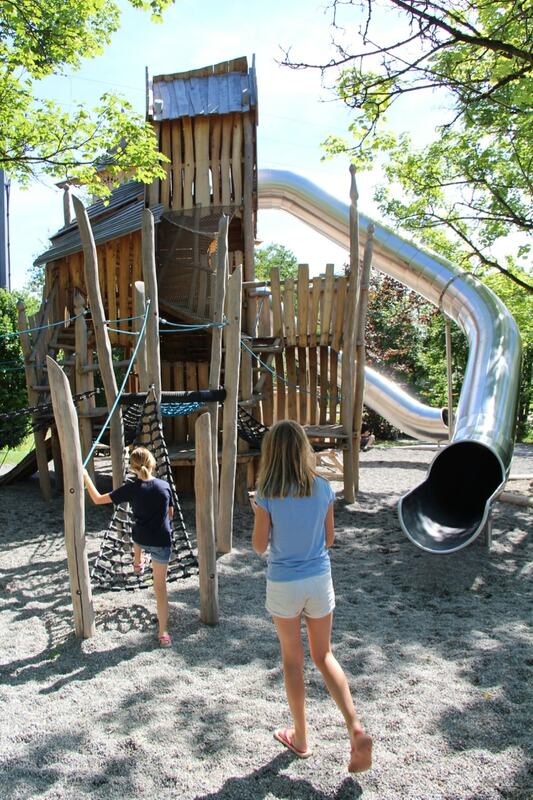 Wirthshof’s parkland setting close to Lake Constance in south west Germany offers a fantastic natural playground. 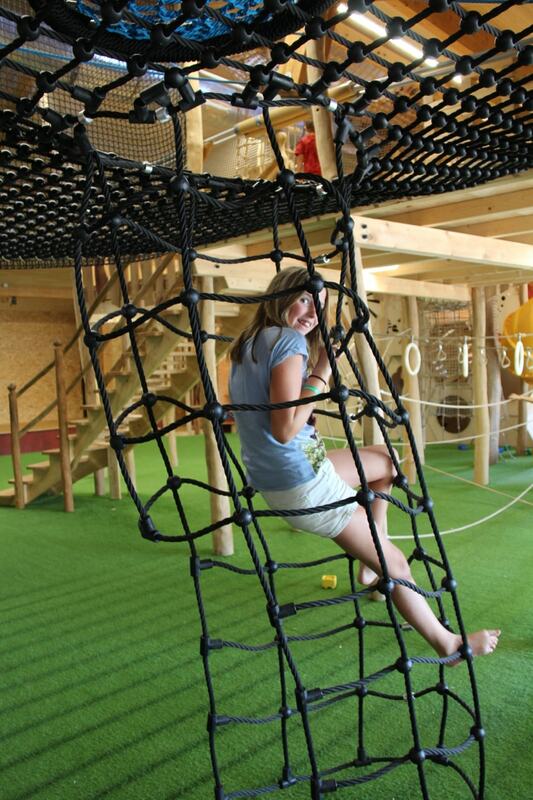 Making it great for exploring and bike riding, or other popular activities such as the billiard ‘mini golf’ or indoor or outdoor wooden play park. 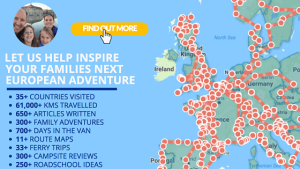 So it’s a great place to tick off quite a few of those outdoors activities that every kid should do…. but where to start! 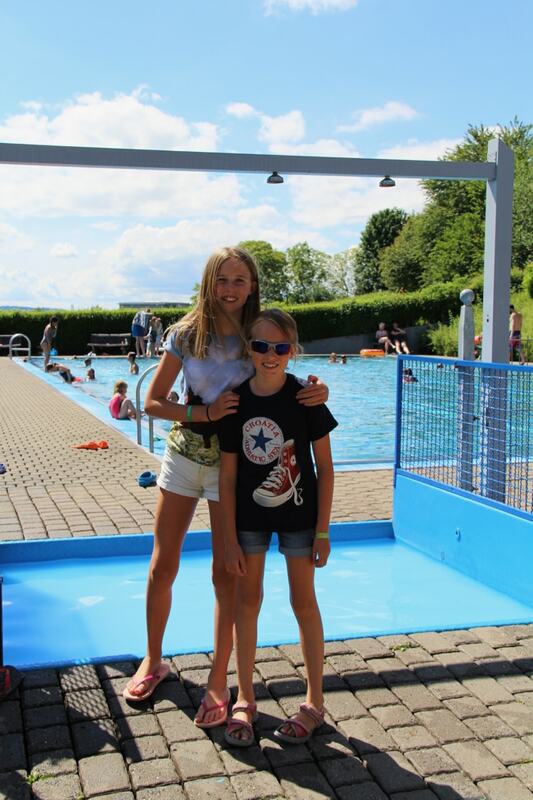 Bucking the trend of a number of European campsites, this place is open almost all year round (1st January – 20th December) although we reckon you might only use the heated pool in the May-Sept period… unless you’re very hardy! Each pitch is spacious and well looked after, all include nearby water and electricity. Some are well shaded by mature trees whilst others are more open (like ours above). 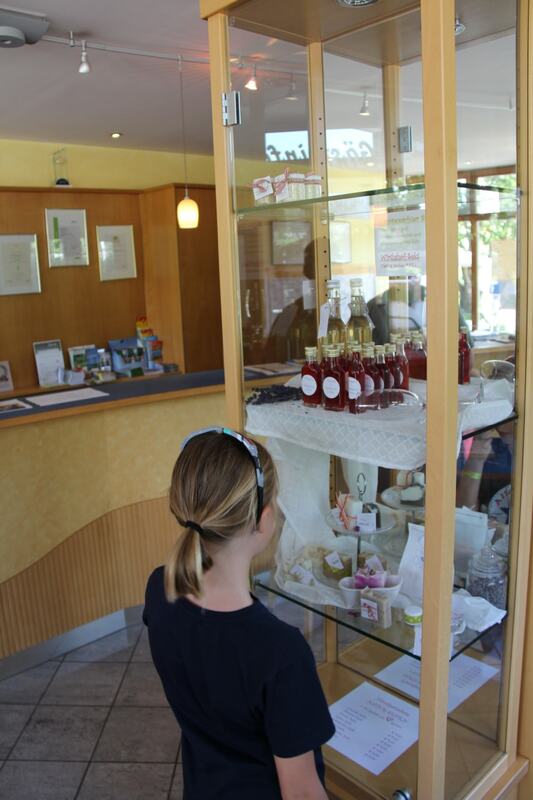 There’s probably something for everyone, but we were surprised at just how busy it was on Whitsun Weekend (3,4,5 June)… until we realised it was a national holiday in Germany. 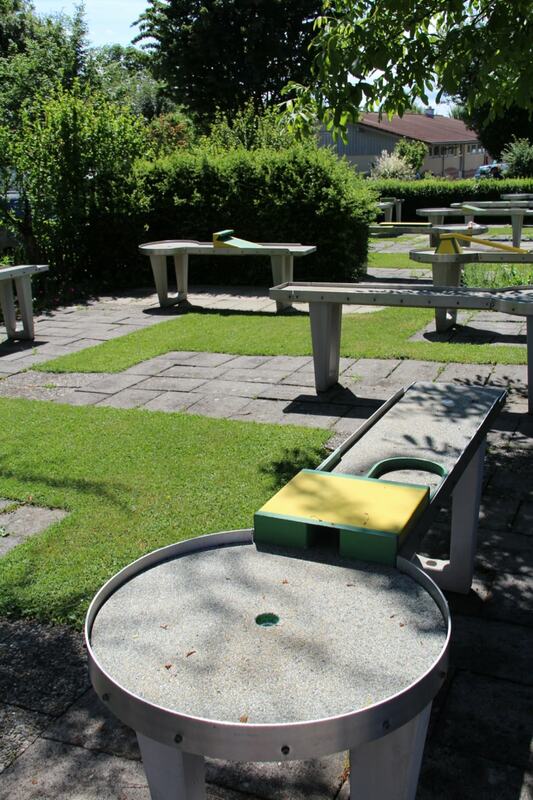 WWe’d never seen such a range of mini golf either… it may not have the manicured ‘professional’ look of the one at Union Lido (Venice), but our girls loved the option to complete 9 holes with a snooker cue followed by a golf club on the other part of the course. But in truth, our girls were more than happy just exploring the space and freedom of this campsite in Markdorf… until we dragged them away for a family bike ride to Lake Constance.. 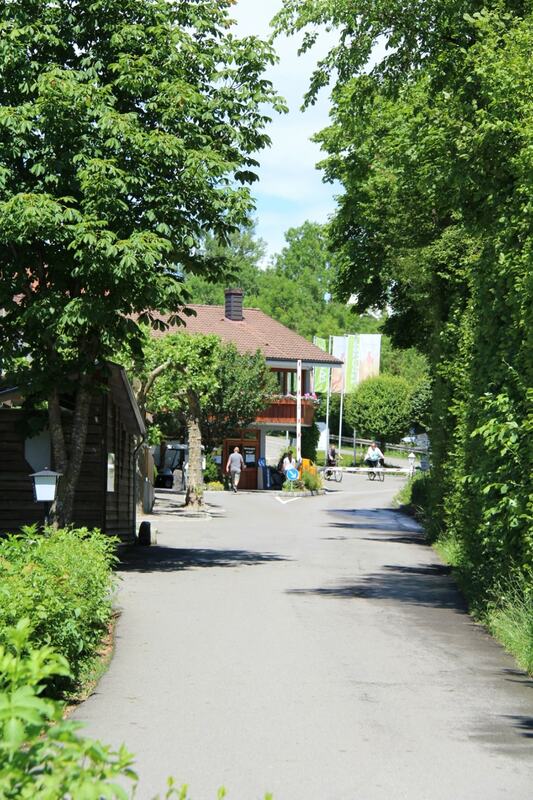 But again this is close by and is accessed by dedicated bike paths from the campsite entrance to the lakeside edge! 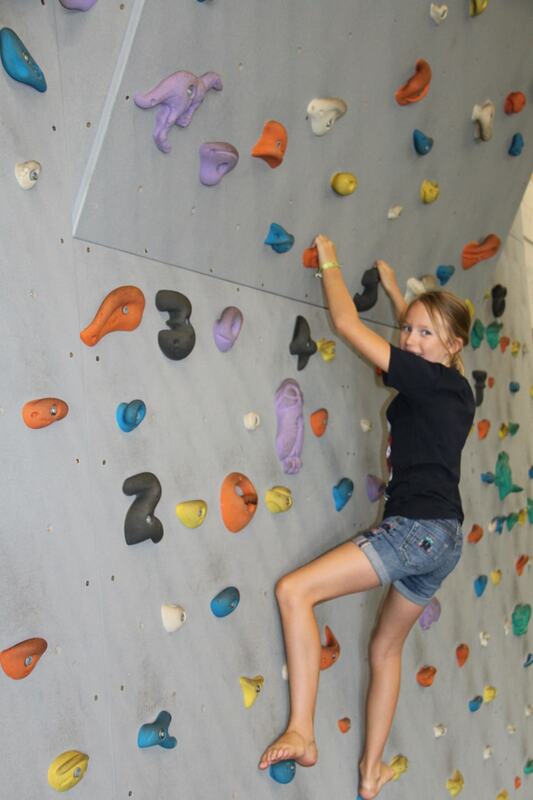 Another great option for active families! We’d not been 100% sure how the girls would react to Wirthshof after the Croatian campsitesor the mountainous views of the Austrian campsites. 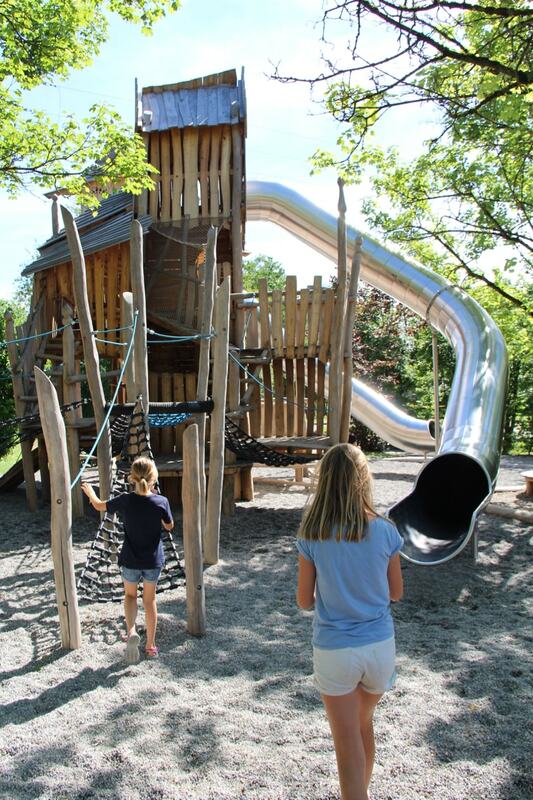 But this will go down as one of their favourites due to those excellent playgrounds… As for us, a happy child equals happy parents, so it’s a thumbs up from us! Coasting along the Cote d’Azur… time for a snorkel!